Can You Help Us Identify the Amp Logo in this Picture? Here at Reverb, we often get emails and chats from people asking for our expertise and advice about all things music and gear. We're always happy to help. We have a crack team of experts and affiliated gearheads working behind the scenes who genuinely love chiming in with opinions on tube rectifiers or low-frequency oscillators, and offering insight for people looking to identify obscure pieces of gear. There are times, though, when a question comes along that truly stumps the Reverb team. 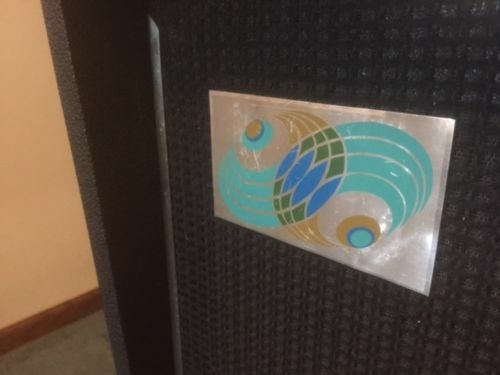 Such was the case earlier this week when we received this close-up image of a mysterious amp cabinet adorned with an oddly familiar yet totally unknown badge on its grill. We have some theories. Someone thought it was a Teisco-esque Japanese mark from the '60s. Some assumed it was just some custom builder outfitting a cab with a quirky bit of design. But these are just theories, and as of yet, we have no conclusive information on this cab and frankly, it's starting to bother us. So we're putting it to you: do you have any information about this mystery badge? Let us know in the comments. If you can unravel this gear mystery, we'll send you a Reverb swag package.